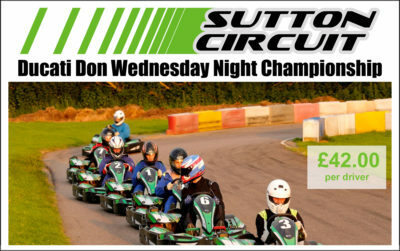 Dedicated to Ducati Don, our Wednesday night kart racing championship is a fast and furious championship that runs over 10 rounds held at our prestige outdoor karting circuit in the heart of the Leicestershire countryside. With up to 50 or more drivers taking part in the races over the course of the season, the races are staged in heats with each driver having a 5 lap qualifying session and 2 * 19 lap races (dry) or 2 * 15 lap races (wet). Points are awarded for both races of each round and the driver with the most points at the end of the season takes the honours. 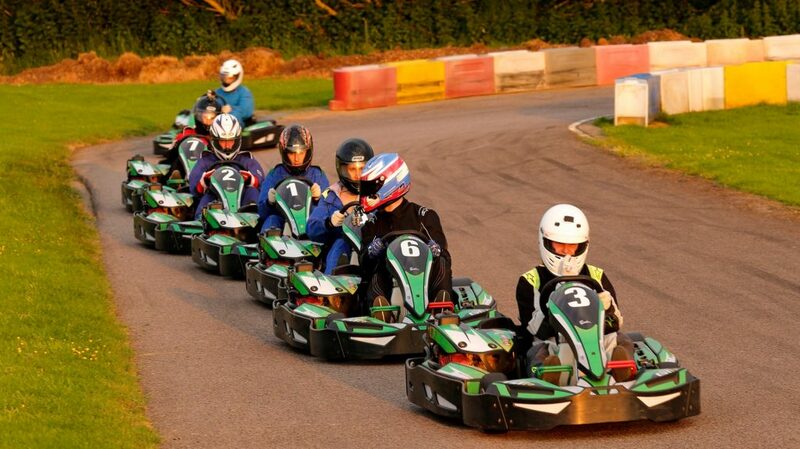 Each round costs £42.00 per driver and racing starts at 7:00 pm we advise all drivers to arrive for signing on at 6:30 pm in order to be ready to race by 7:00 pm. All races are on a first come first served basis so if you want to join in and get involved then you will be made 100% welcome.